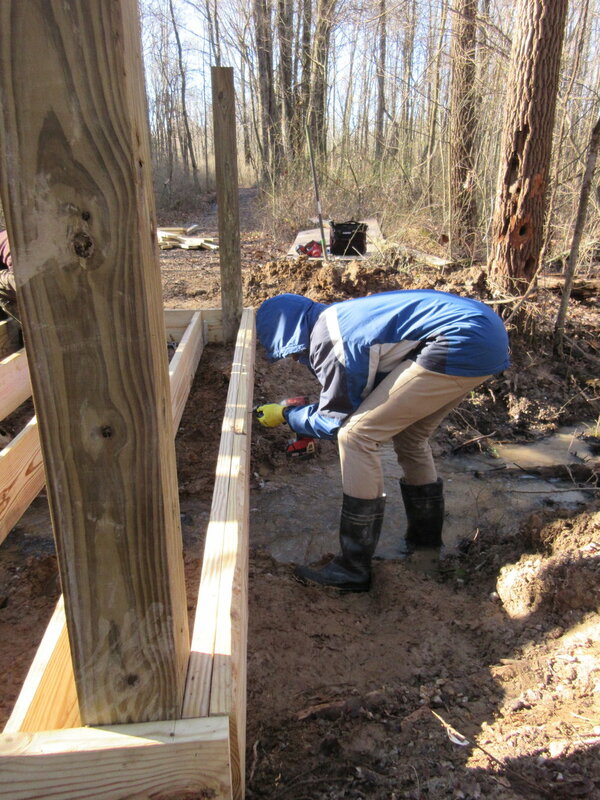 Mill Creek Yacht Club and Volunteers Restore Mill Creek Streambank! 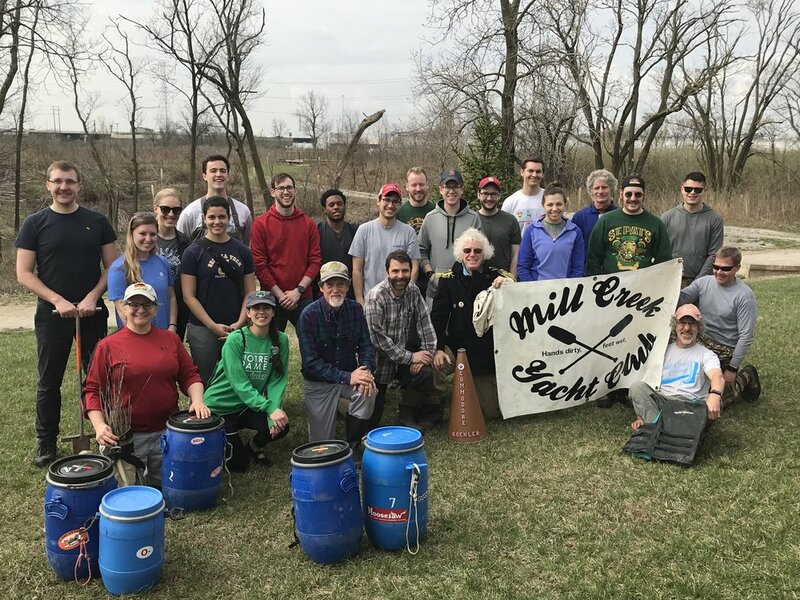 The Mill Creek Yacht club led a group of volunteers on a live staking restoration outing along the creek in Sharonville, Evendale, and Reading this weekend! 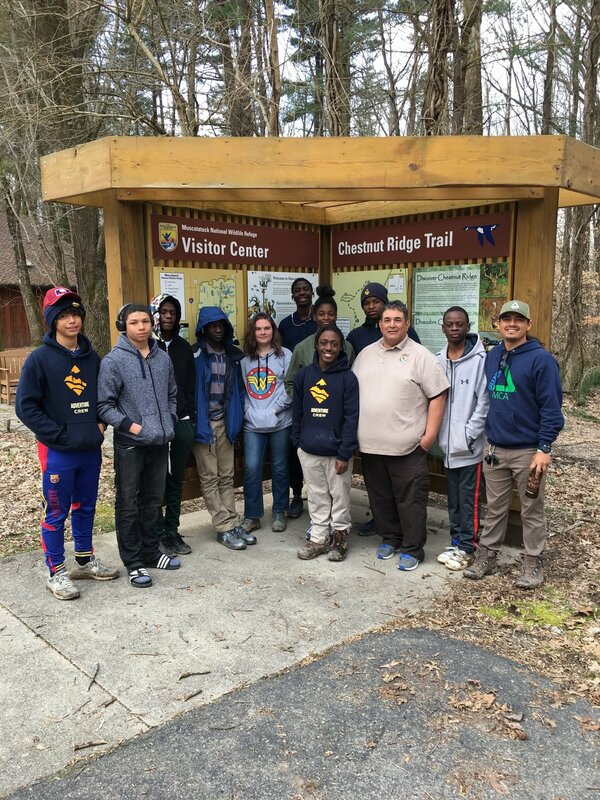 A group of 23 volunteers gathered Saturday morning at Twin Creek Preserve, including an awesome group of GE Aviation young professionals! Hamilton County Soil and Water Conservation District's Stream Specialist, Adam Lehman, provided the tools and live stakes and taught the group about the technique of using willow tree live stakes, which root readily in the moist streambank, to prevent erosion Tom Boeing of Ohio Valley Forestry Fellowship brought along bare root trees and demonstrated the planting technique. 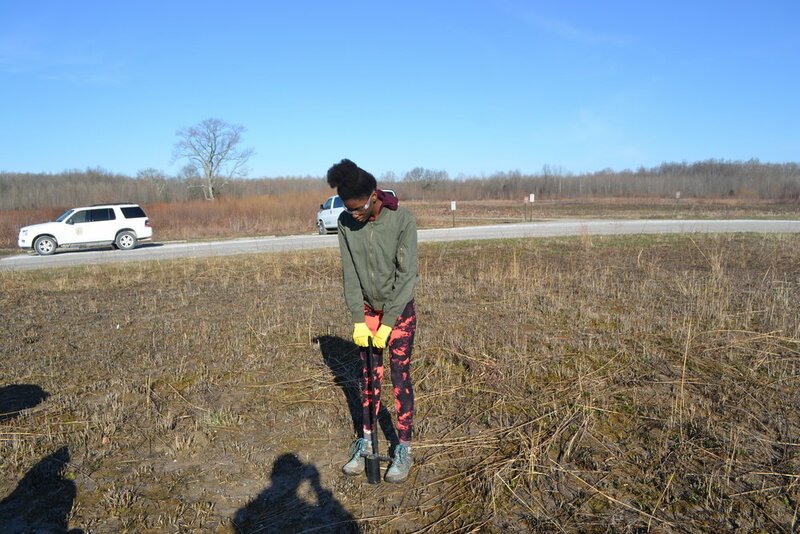 Then the group split up, some working on planting at Twin Creek preserve, and some venturing down the creek via canoe, taking out at various locations, including Evendale Commons, to pound in the live stakes and plant bare root trees and wildflowers. 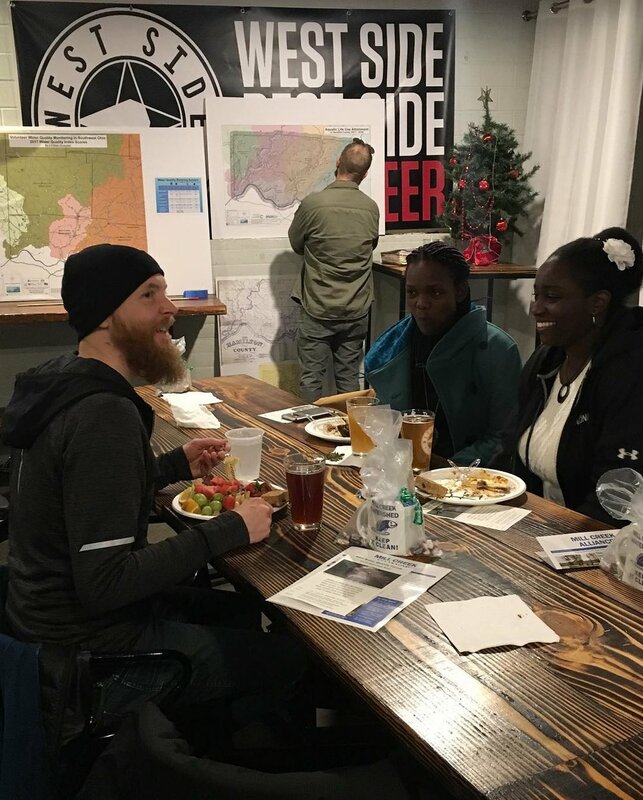 The group had worked up a serious appetite by the time they took out at Koenig Park around 4pm so some fueled up at the The Pike Bar and Grill (also a supporter of Mill Creek Alliance!). Thank you to all partners and volunteers who came out to help restore the Mill Creek's streambank!! We're excited to monitor these plantings in years to come! 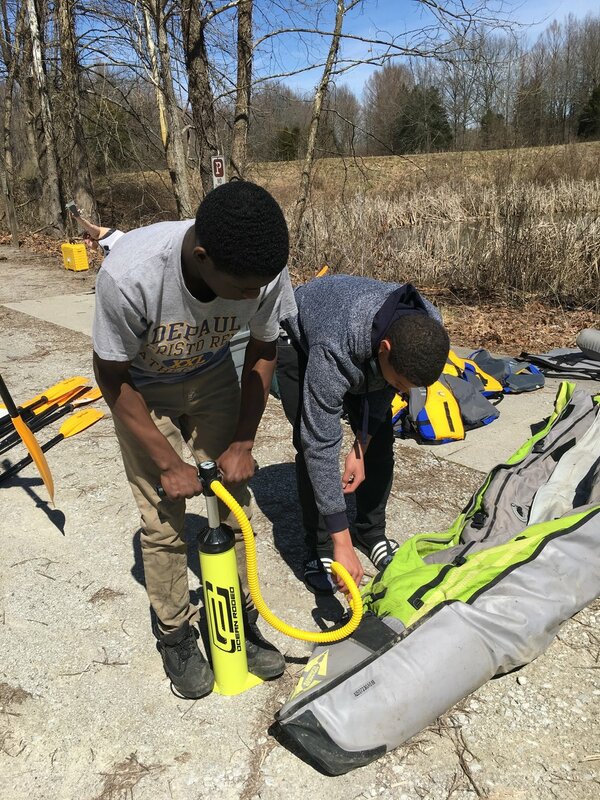 The Mill Creek Yacht Club is supported by REI. 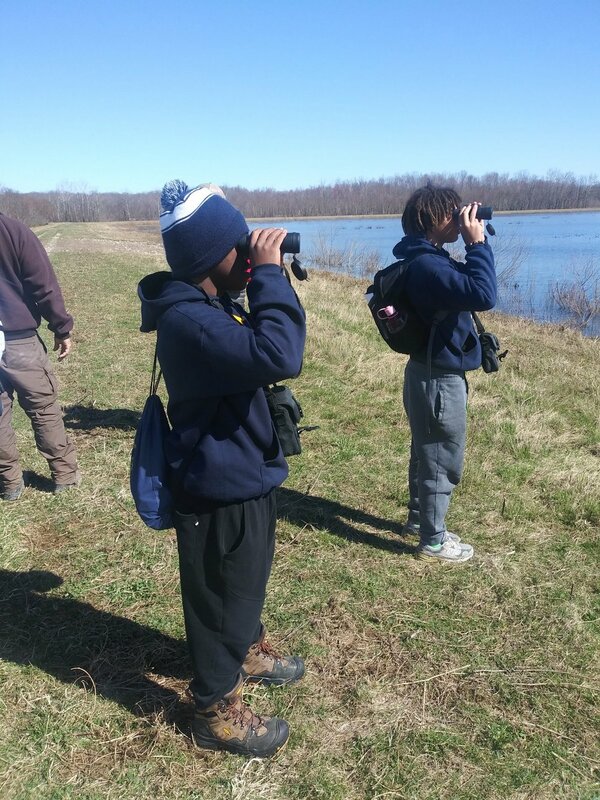 The Green Team travelled to Muscatatuck National Wildlife Refuge over spring break for two days of team building, work, and play. 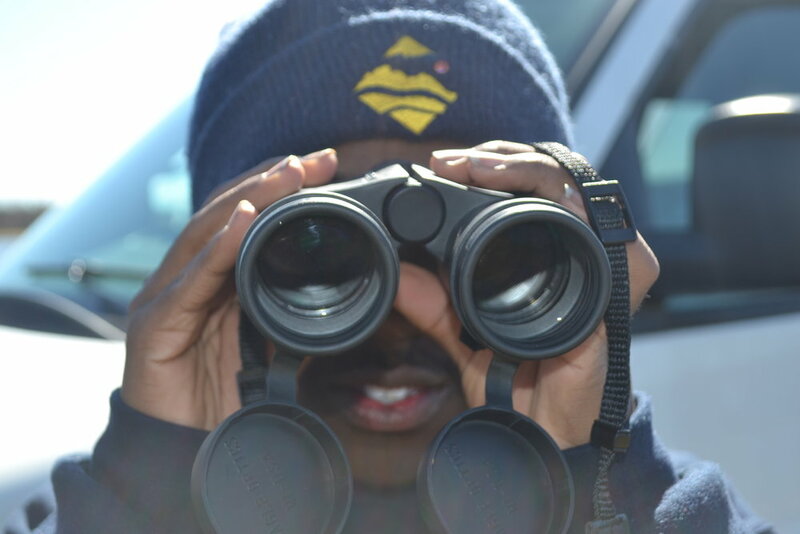 This annual trip is truly a highlight of our year and is only possible thanks to Mill Creek Alliance's support from NFWF and an anonymous donor and our strong partnership with the U.S.Fish and Wildlife Service as part of Groundwork USA. After arriving at the refuge on Tuesday, the team watched an introductory video that shared the importance of this almost 8000-acre preserved and restored wetland area to migrating and nesting birds. After settling into their bunkhouse they ventured out with Refuge Specialist, Shane Baxter, to check out the refuge's complex managed dam system that allows for control of water levels for the health of plants and wildlife. Along the way they spotted a bald eagle's nest plus lots of coots and buffleheads passing through on their way north. After a hike on the Richart Lake Trail they settled into their bunk to make dinner and play some team building games. The next day the Green Team got to work! 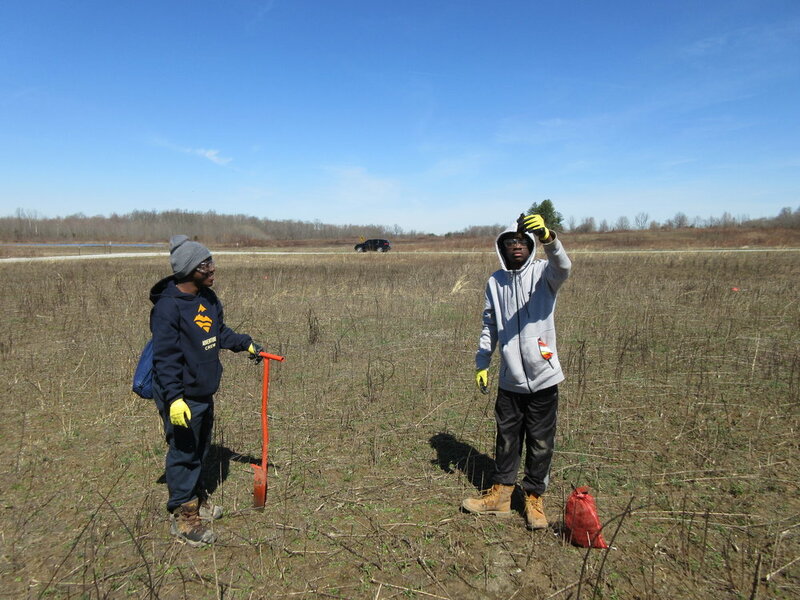 They split up to work with Refuge Manager Alejandro Galvan on planting native forbs in a recently-burned field (the same field in which the Green Team planted native grasses last year!) and build a bridge over a small stream on a trail with Shane. 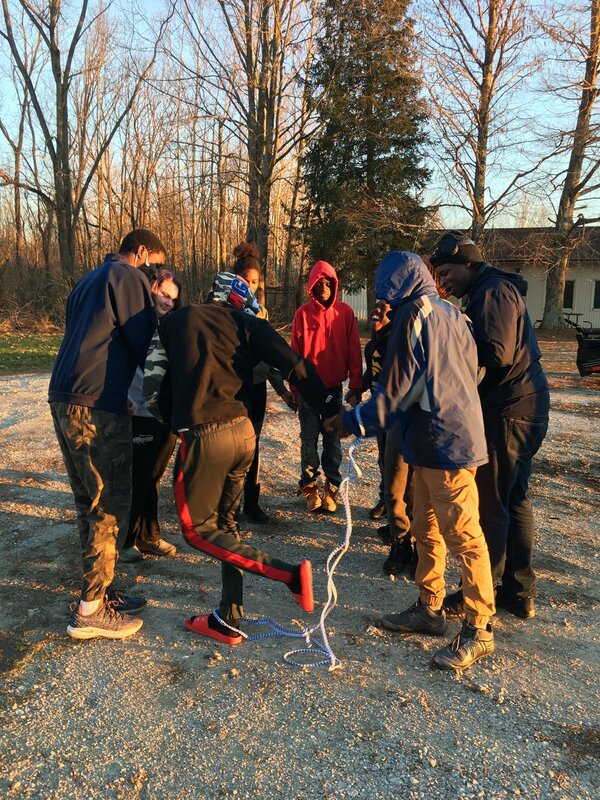 They learned to use impact drivers, levels, and hammers, as well as communicate effectively with each other to frame out the bridge, lay the decking, and construct the sides. Just as the team was wrapping up for the day a jogger came running across the brand-new bridge! They enjoyed a delicious "Indiana pitch-in" (potluck) lunch with the refuge's Friends group, who has generously supported MCA visits in previous years. After work, the team went kayaking (in awesome inflatable kayaks, thanks to REI) and spotted a beaver dam, cormorants, and tree swallows. 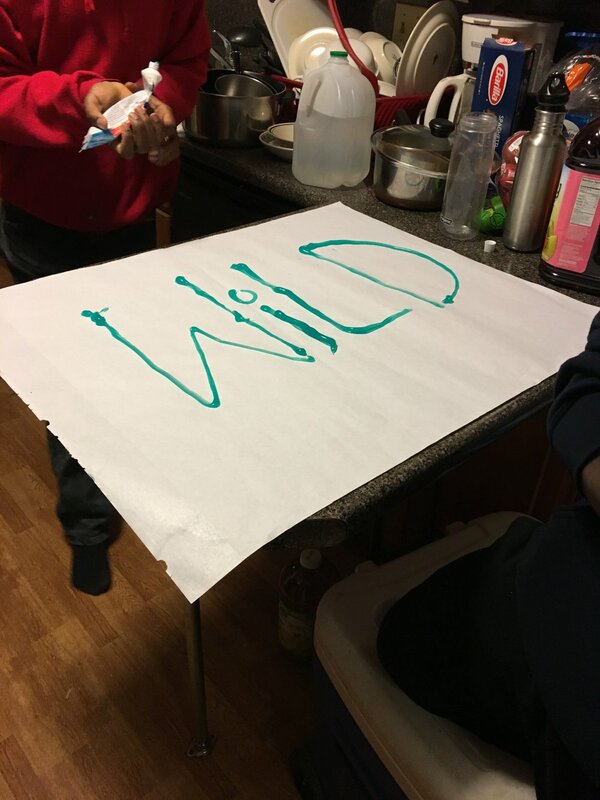 After dinner and s'mores by the fire, the night concluded with a star gazing hike, where Green Teamers searched for their own signs of the zodiac using SkyView - Explore the Universe. They experienced the contrast of human development and the natural setting of the refuge, where the sounds of spring peepers mix with the noise of interstate 65 and the clear, starry sky fades away into the lights of Seymour, Indiana. Before heading home on Thursday, everyone pitched in to clean up the bunk, then put the finishing touches on the trail bridge. A stop at the visitor's center concluded two incredible days of hard work, camaraderie, and plenty of fun and laughs. 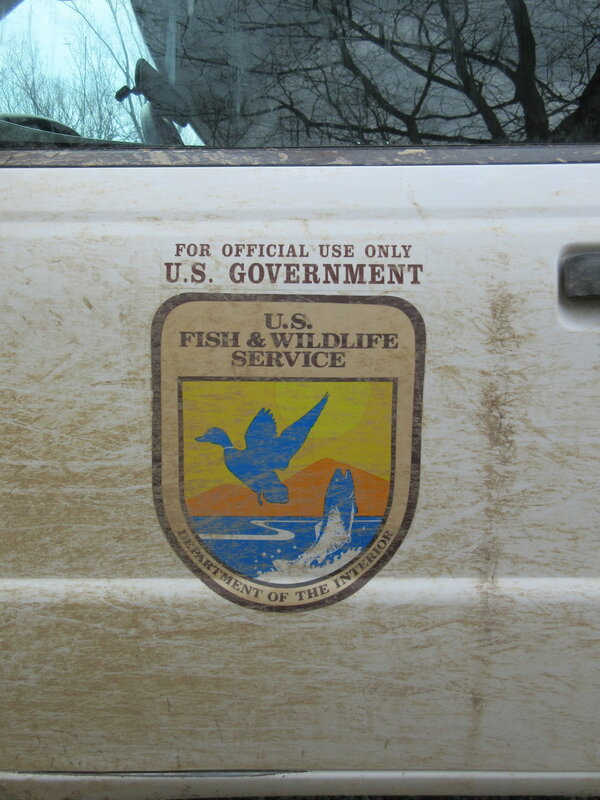 Mill Creek Alliance looks forward to growing our partnership with the Refuge and with U.S.Fish and Wildlife Service in the coming years! Support for the Green Team is also provided by Greater Cincinnati Foundation and City Of Cincinnati Government Youth 2 Work. 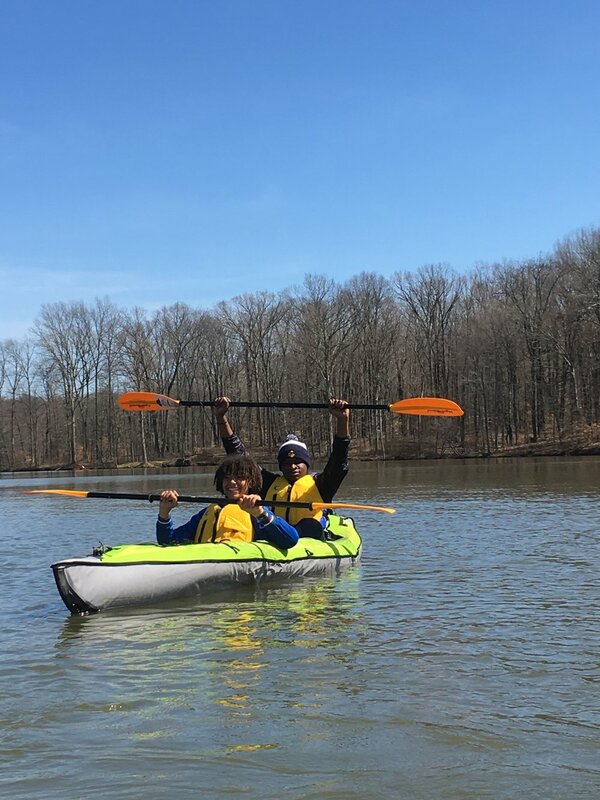 A big shout out to Adventure Crew for connecting us with so many of our Green Team youth over the years, as well as Villedge! Muscatatuck National Wildlife Refuge is open to the public and is a day trip from Cincinnati if you would like to plan a visit! 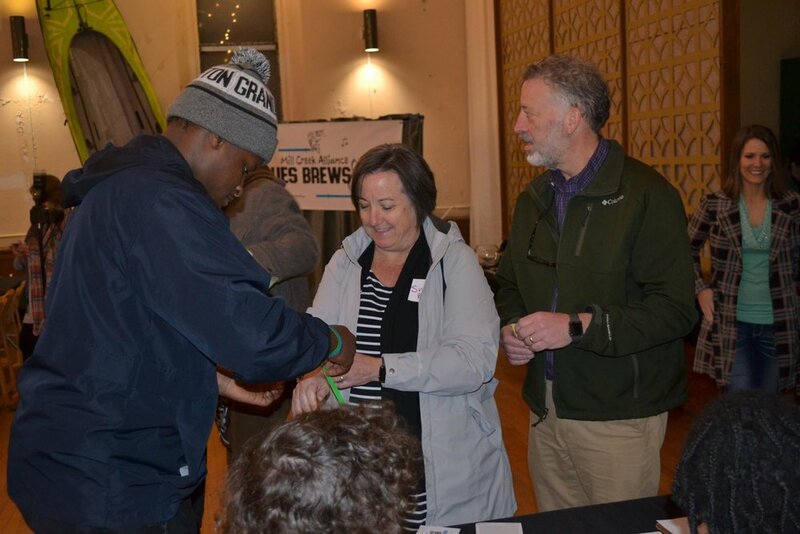 Mill Creek Alliance Green Corps Featured in Cincinnati City Beat! 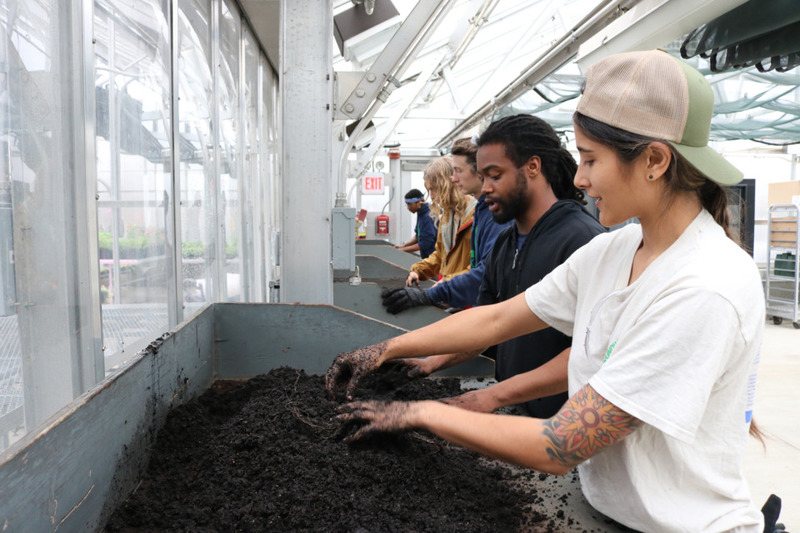 The Mill Creek Alliance Green Corps is featured in Cincinnati CityBeat! Check out the corps members talk about their experiences and the restoration work they're doing all over Cincinnati! A special thanks to collaborators and supporters Cincinnati State Technical and Community College (who some Green Corps are attending), MCURC, Cincinnati Parks, Turner Farm, Little Duck Creek Trail, Cincinnati Zoo and Botanical Garden, Green Umbrella, Greater Cincinnati Foundation, and Cincinnati Recreation Commission for being part of the work featured in this article! Welcome, Micah Johnson, Green Corps Manager! 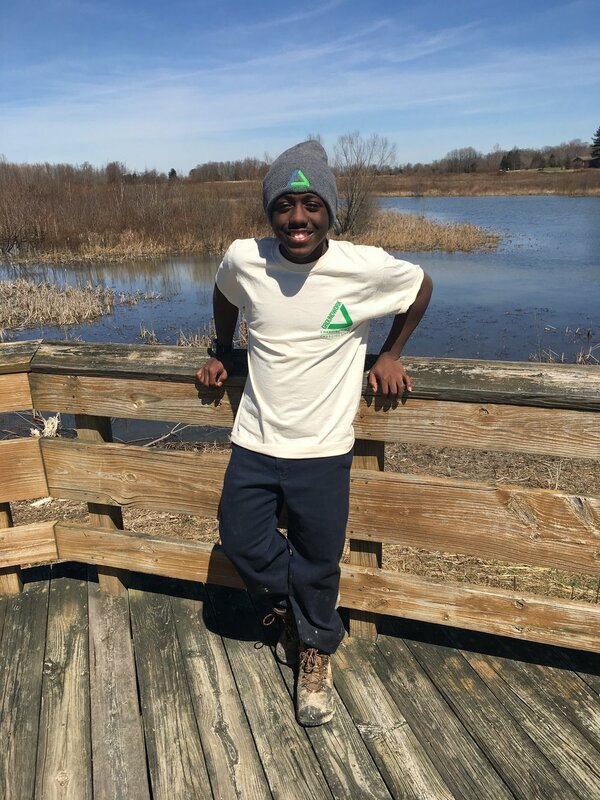 We are thrilled to welcome Micah Johnson as our new Mill Creek Alliance Green Corps Manager! Micah comes to us with a wealth of experience in ecological restoration work. 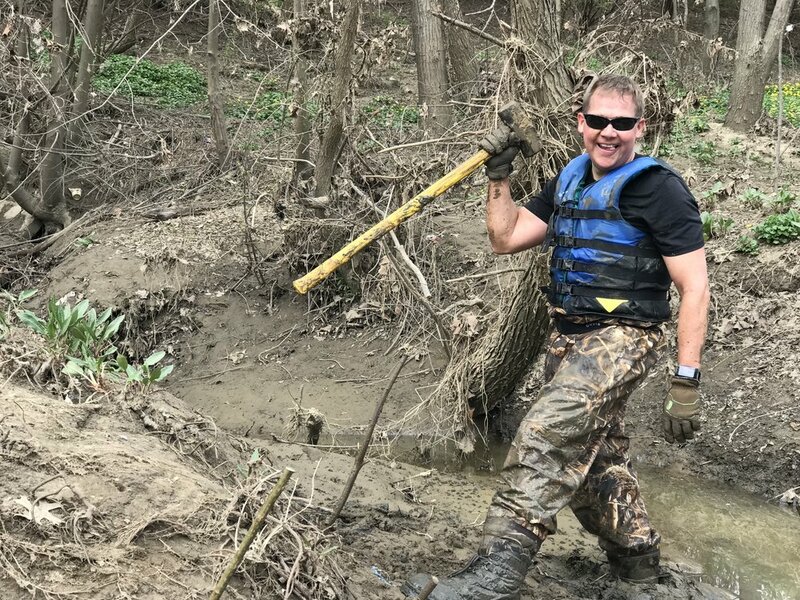 He has trained with NKU's Center for Environmental Restoration and helped lead the Green Corps at the Licking River Greenway restoration site for the past year. Micah has extensive experience in stream and watershed restoration, wetland management, invasive species control, surveying, and trail maintenance. He also has a wide range of valuable machine operation, maintenance, and carpentry skills, all of which will serve the growing Green Corps. Micah holds a BA in Geology and Environmental Science from NKU. He will be leading the Green Corps in the field on their full range of restoration projects and working to secure and manage contracts. He will also be leading the team as they continue the Northside Composts and Light Up Avondale projects. We are so excited to have Micah join our team! 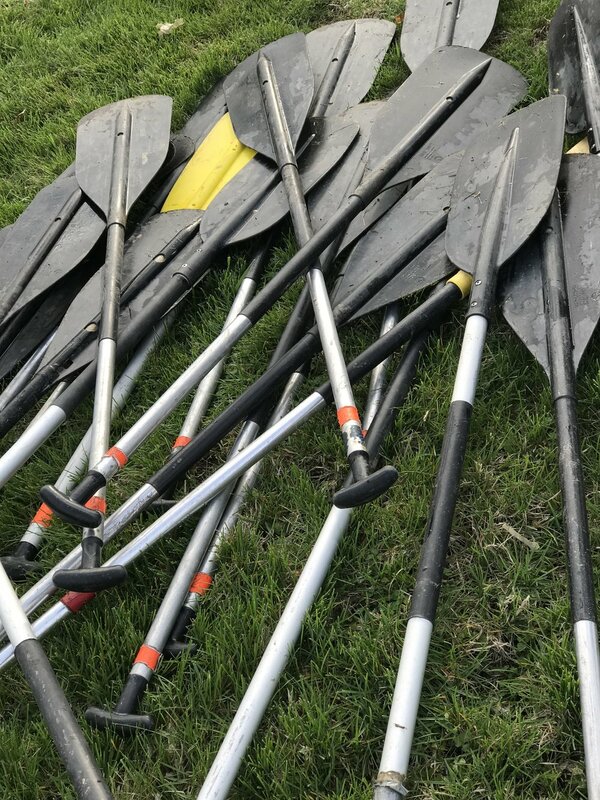 On November 10, 2018, a group of over 30 volunteers wrapped up the sixth year of Mill Creek Citizen Water Quality Monitoring. This dedicated team samples and analyzes water from the Mill Creek and its tributaries each month to monitor water quality. 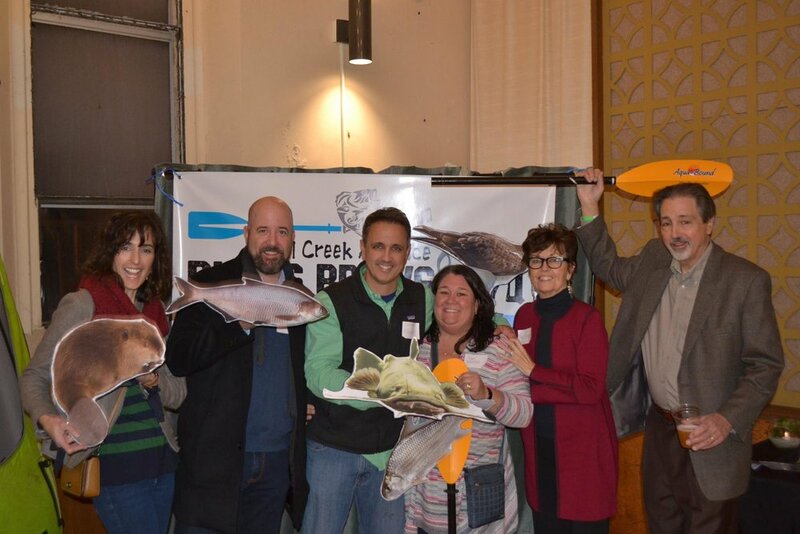 For more information check out Streambank, which has data from all four of the regional programs, and the Mill Creek Alliance website which has extensive data on Mill Creek water quality collected from this program. 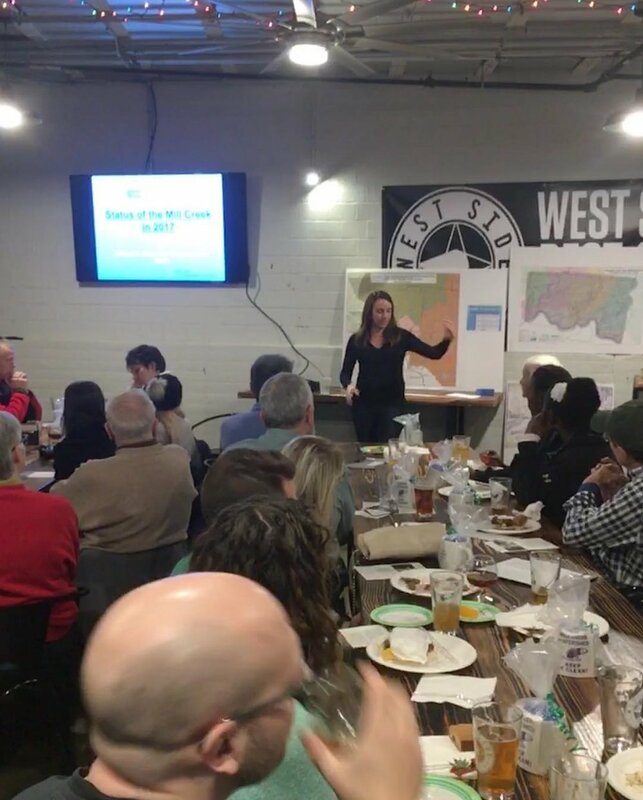 A big THANK YOU to the volunteers, without whom this program would never be possible and thank you to all who came to celebrate at Westside Brewing on December 9! We’ll see you next year! If you are interested in getting involved in this program please contact us! On Thursday, November 29 Mill Creek Alliance hosted a ribbon cutting of the recently-completed Evendale Commons project at 2789 Cunningham Dr., 45241. Thank you to all who attended the ribbon cutting for the Evendale Commons Restoration Project! This was truly a collaborative effort between Mill Creek Alliance, Village of Evendale, Anchor Properties, Sustainable Streams, Environmental Remediation Contractor, Ohio Public Works Commission, and Ohio Environmental Protection Agency. The project improved nearly 2.5 acres of stream corridor. 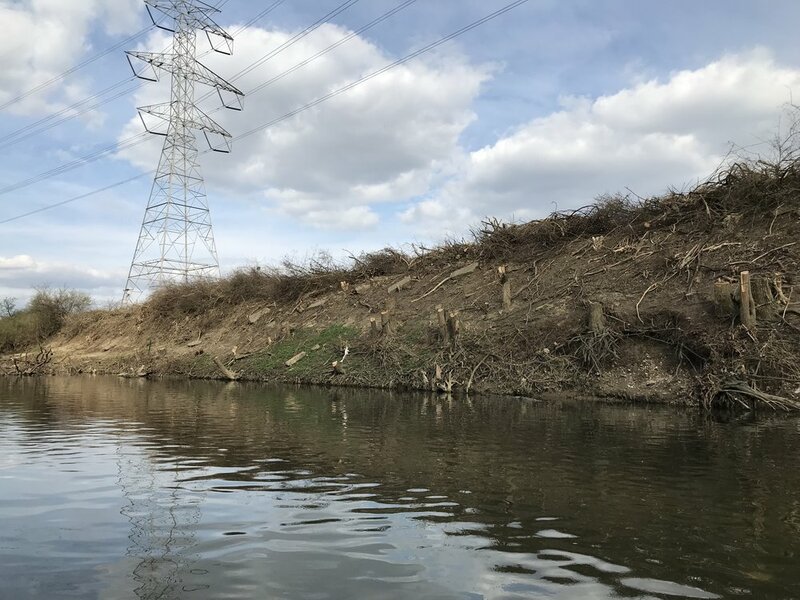 Funded through a Clean Ohio grant from the Ohio Public Works Commission and matching funds from the Village of Evendale, the project stabilized over 400 feet of actively eroding stream bank. The previously steep eroding banks were excavated and regraded to a more stable and gentle slope and secured at the base with rock. The newly-configured banks were seeded with wildflowers and planted with native shrubs and trees. The previously over-widened main channel of the Mill Creek was reconfigured with a center channel for typical low-flow conditions and a wider floodplain to handle high-flow rain events. Additionally, a riffle, a group of large rocks was installed across a shallow part of the stream. The riffle creates a more gradual elevation change and more oxygen in the stream. The result is easier passage for fish and other aquatic species traveling up and down the Mill Creek. Keep an eye out for informational signage that will be installed at the site soon! If you are interested in seeing a project like this in your community contact us! Blues, Brews, & BBQ Mill Creek Benefit Party! 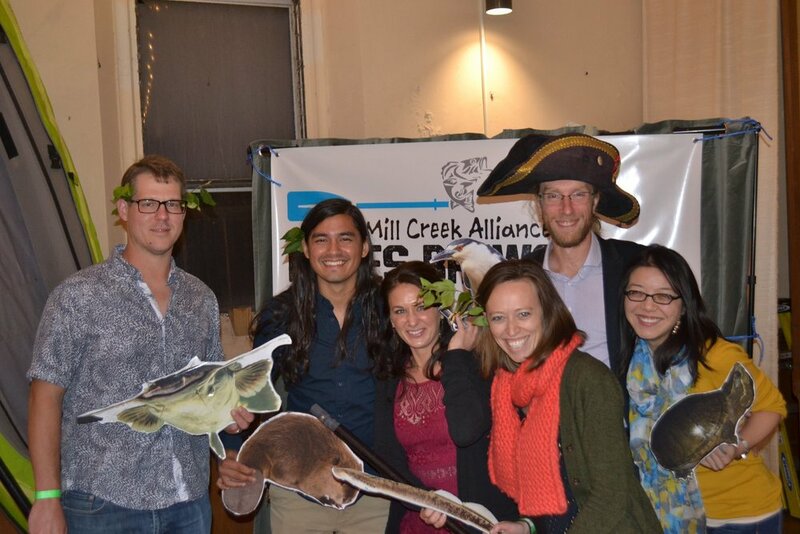 A big THANK YOU to all who came out in support of Mill Creek Alliance at our Blues, Brews, and BBQ Benefit Party! Urban Artifact hosted a great celebration with delicious BBQ from Vonderhaar's Catering Inc. and tunes from Chuck Brisbin Music that got us out on the dance floor. Thank you especially to our sponsors and to all those who donated via the silent and live auctions. 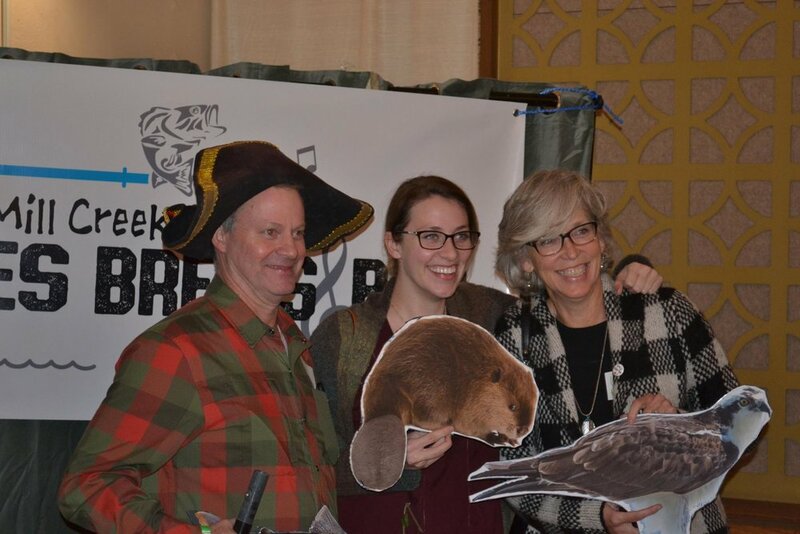 We couldn't do our work to engage the community and youth in the restoration of the Mill Creek without you!! 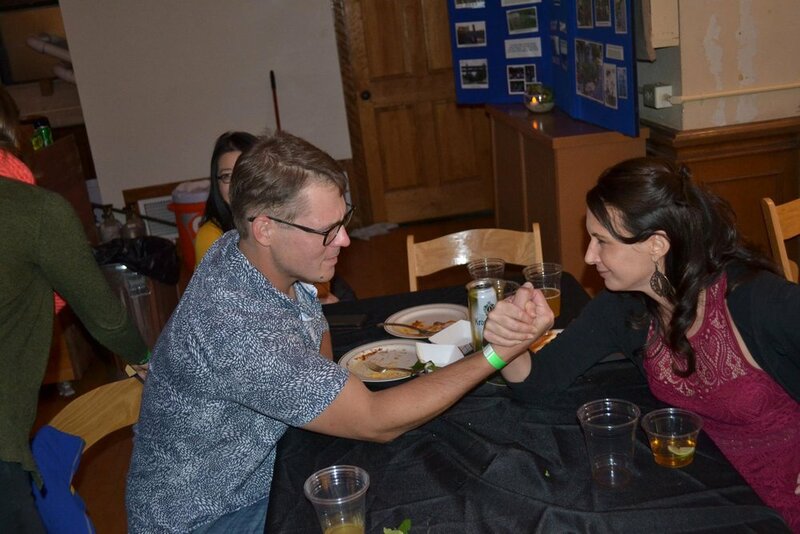 Check out some photos from this wonderful night. Emeritus Mill Creek Alliance Board Member, collaborator, and tireless advocate for water quality in greater Cincinnati, Dr. Michael Miller, received the prestigious Ohio Water Hall of Fame Award at the luncheon of the Annual Meeting of Water Management Association of Ohio (WMAO) at the Duke Energy Center. Dr. Michael Miller is hereby awarded the Ohio Water Hall of Fame Award for his leadership and tireless efforts to protect and improve water quality in Southwest Ohio. 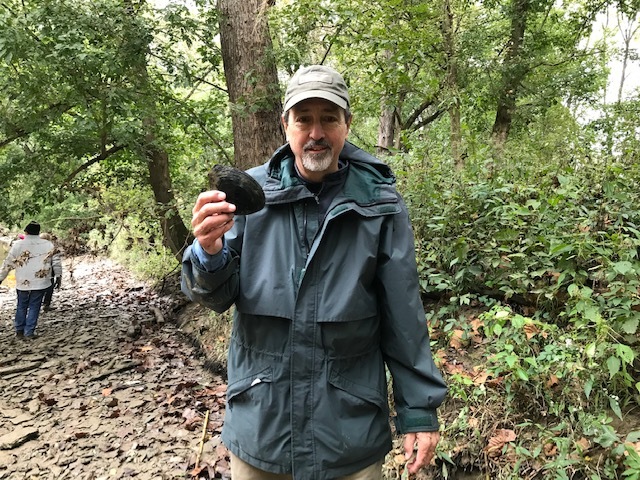 As a professor for close to 5 decades at the University of Cincinnati, he has instilled a love of aquatic systems in thousands of students who have gone on to pursue careers in water management. 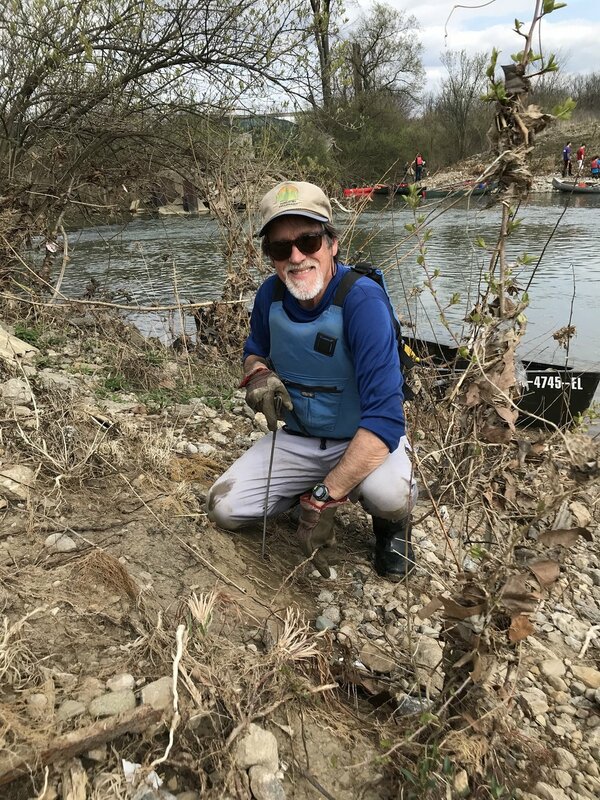 Dr. Miller has helped ot organize hundreds of cleanups on the Mill Creek and Great Miami Rivers, has been a champion of public education and has developed and implemented many successful programs and tools. Dr. Miller's commitment and passon has made a difference in our water resources. Please join us in congratulating Dr. Miller! 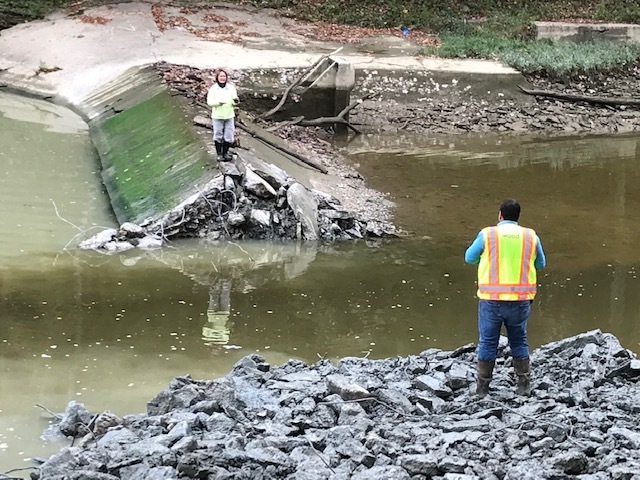 On Saturday, September 13th, a low-head dam was removed from the Miami River in Williamsburg, and the native mussels living in the area were relocated for their safety. 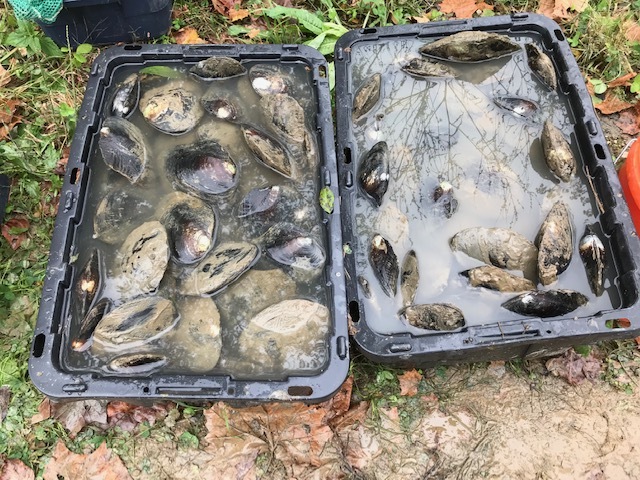 Many of these mussels were relocated to the Mill Creek, near Caldwell park. This marks an incredibly important milestone in the restoration of the Mill creek, as for the better part of a century the area had been too polluted and disturbed to support them. Now their presence will increase biodiversity within the watershed and help to speed the recovery of the Mill Creek. Check out the news story published by Local 12 here!